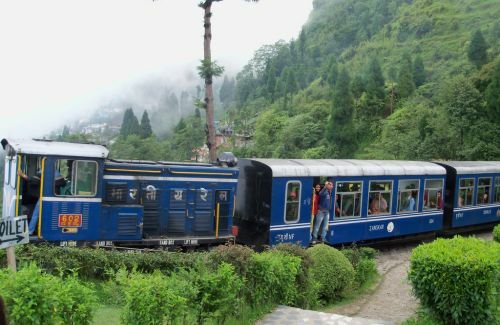 Darjeeling is 95 km in distance from Bagdogra airport/ New Jalpaiguri Rail station. 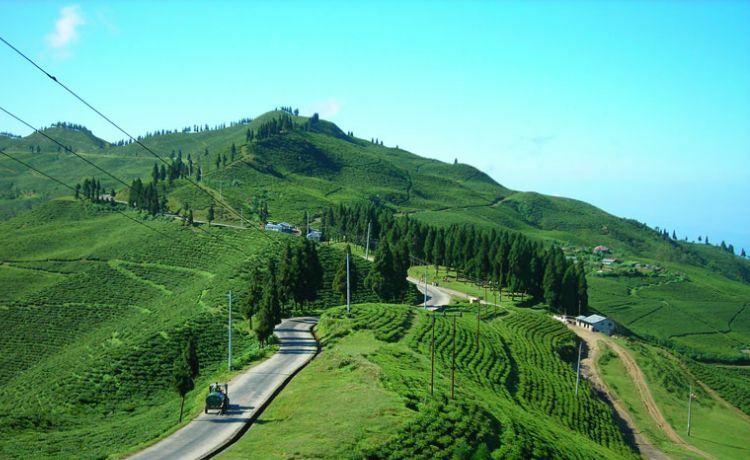 It takes 4 hours on drive. 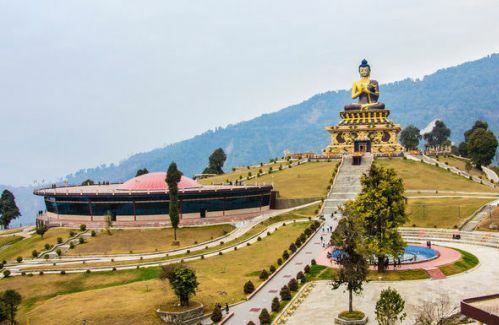 It is the queen of hills situated at an elevation of 7,200 ft. Sunrise from Tiger Hill (8,500 ft.) to the eastern Himalayas is captivating; a visit to Ghoom Monastery is also an interesting. 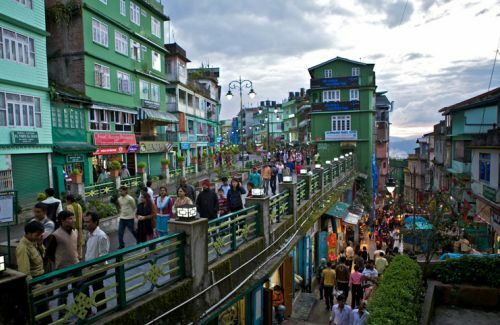 There are other places like Himalayan Mountaineering Institute, Padmaja Naidu Himalayas Zoological Park (closed on Thursday), Tenzing Rock, Tibetan Refugee Self-Help Center (Closed on Sunday), Happy Valley Tea Garden, Japanese Temple, and Peace Pagoda. 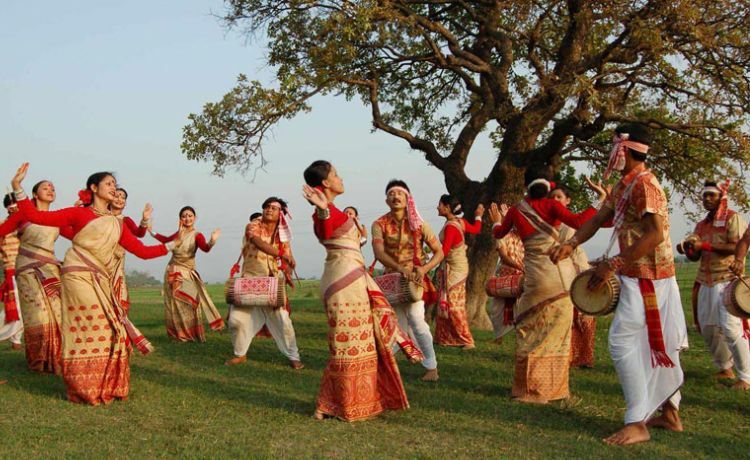 The cultural show with traditional folk dance presented by local people at Darjeeling Night Angle Park should not be missed. 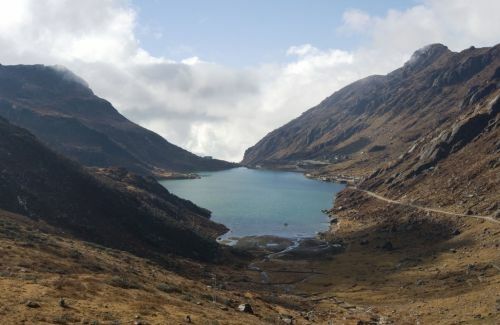 After this, you can proceed to Gangtok and visit Tsomgo Lake, Baba Mandir and do sightseeing around Gangtok.